With the purchase of this “Download Package” you’ll receive 80 downloads from our Template categories (except for Maps, Bundles, Software & Tools). Pay-as-you-go. No-contract. No-expiry-date. After submitting your order the downloads will be activated within one business day. Please consider that there may be delays in requests received on weekends and German public holidays. All PresentationLoad products are from 100% in-house production of our qualified designers. They fulfill highest standards and are all made to complement every presentation. With the Premium package you are able to download 80 required slides for unlimited time. Access freely all downloads you need for your presentation at any time. 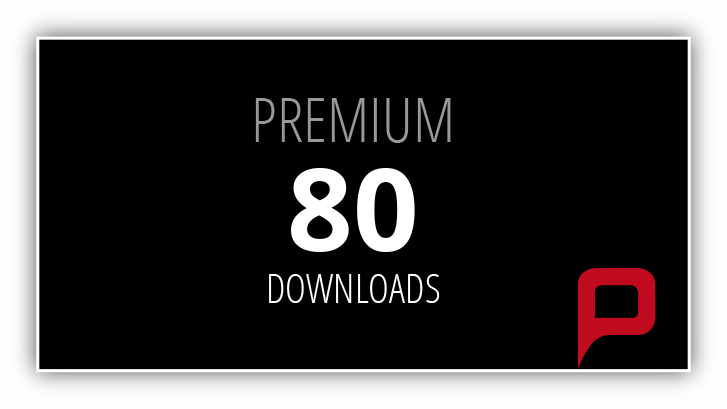 With the Premium Download Package you‘ll save over 75% compared to the individual purchase. The uncomplicated Premium Package provides you with a fast and direct access to all your required downloads without going through the annoying order process. The download package enables you to access all new and updated products immediately without expiration of unused downloads. With the purchase of the Premium Package you’ll receive a company license. It permits all employees of one company to use the products. We LOVE working with your templates. Not only we can rely on the high quality templates, which are so beautifully made, but also on the variety of products and topics to choose from.. And, of course, the fact that we can save a lot of money with this Download Package is stellar!